Summer’s not over yet. From craft beer in Point Breeze and bluegrass in McKees Rocks to pierogies at Kennywood, September will rock your world. A Fair in the Park. Courtesy of Zosxavius Photography. The fall fair season gets an early start with this al fresco marketplace showcasing 105 artisans and craftspeople. 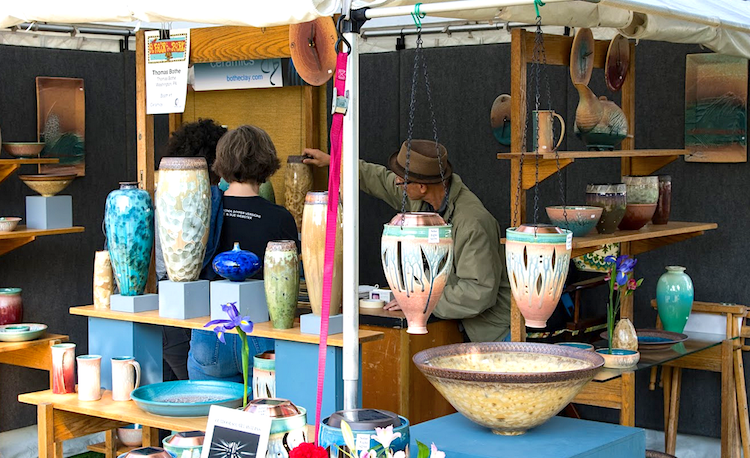 Spend a few hours or make a day of it perusing handcrafted items in a wide range of mediums, and watch live art demonstrations with WoodTurners Anonymous and Pittsburgh Glass Center. Shop for one-of-a-kind objects made from glass, metal and wood, ceramic and fiber pieces, eclectic jewelry and more. And come hungry, because the fair’s food truck roundup will have everything from BBQ bites to Italian ice. There are also interactive projects for the kiddos and live music by local musicians. Things are brewing in the borough six miles northwest of Downtown along the Ohio. The best way to get to know The Rocks is at FEASTival. Benefiting the McKees Rocks community, the free event will fill the municipal lot with neighborhood-fueled energy. Bringing their New Jersey-bred Americana will be Railroad Earth, one of the biggest bands in contemporary bluegrass. Also rocking The Rocks will be high-energy Nashvillians Billy Strings and Ohio foot stompers, the Rumpke Mountain Boys. Repping Pittsburgh will be Wreck Loose and Well Strung. Print your own t-shirt, munch out with 16 food trucks and shop in the artisan marketplace. Courtesy of the Jaimeo Brown Trio. What began in 2005 as a concert in a Mexican War Streets alley is now the world’s largest jazz-poetry festival. A cultural gift to the city, the dynamic four-week celebration brings together 41 renowned jazz musicians and writers from 12 countries to create fresh performances and exclusive commissions. All nine concerts are free and no two are the same. 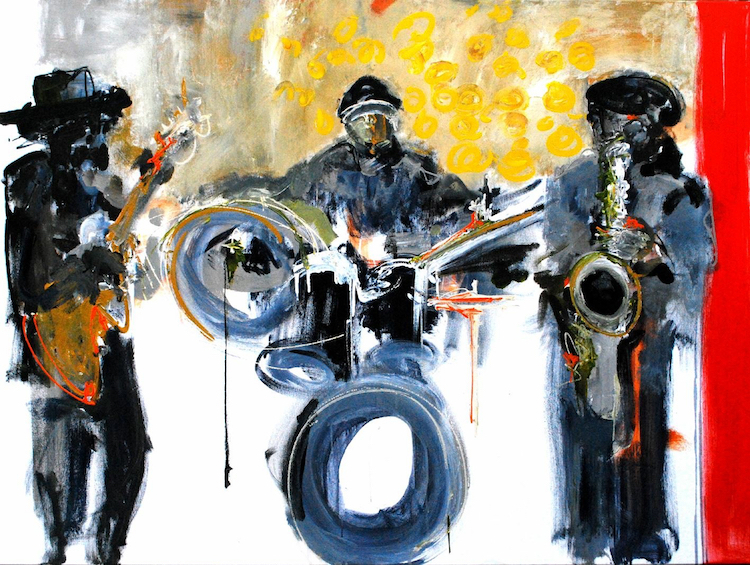 The collaborations are sure to give birth to new forms of artistic expression. This year will feature extensive multimedia elements — from recordings of prisoners in Mississippi and stonemasons in Japan to edgy dance and evocative projections. Not to miss is the “Freedom-to-Write” keynote, Oliver Lake’s Stoop is a Verb and Jaimeo Brown’s Americana Song. 4. 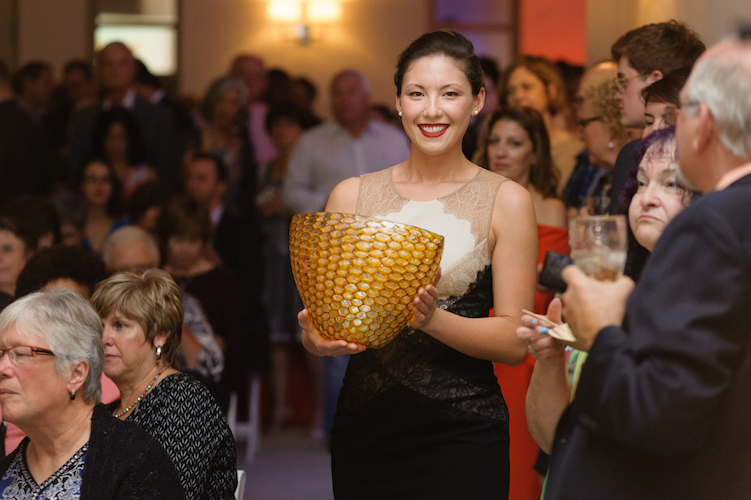 Pittsburgh Glass Center’s Art on Fire Celebration & Auction at Nova Place: September 14, 6 p.m.
Be transported to the Venetian island of Murano — world-famous for its centuries-old innovative glassmaking technologies. Score a striking piece of glass art for your home, office or loft — from earrings to platters to sculpture — as you bid on 100 objects in the gala’s live and silent auctions. This year’s honoree is 11th-generation glass artist Davide Salvadore, who followed his grandfather into the furnaces of Murano. His exquisite Chitamarra Ramica — the night’s signature offering — reflects his multilayered murrine technique. Meet the makers, taste exclusive beers from Brody Nasse Brewing and keep bidding to support the center’s free programs. Buy tickets. Steel City Big Pour. Photo by Jeni Benz. 5. Steel City Big Pour at Construction Junction: September 15, noon – 3 p.m.
SeptemBEER is here. The brewmaster of all brew fests, The Big Pour has doubled in size since its first frothy happening in 2007. 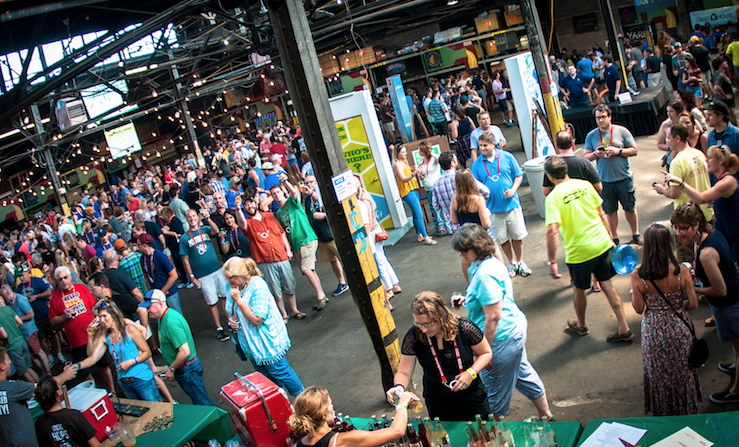 Sample craft concoctions from 50 breweries, including 30 from the Pittsburgh area. There’s something to satisfy all palates during those much-needed food breaks, with bites that go great with beer from 20 local restaurants. Since all beer lovers need a “kegerator,” be sure to bid on one in the lively auction. Rock out to music by Hoodoo Drugstore, make Spin Art with Handmade Arcade and shop in the Monmade marketplace. Buy tickets. Photo by Jae Yi for The Moth. 6. The Moth at the Byham Theater: September 17, 7:30 p.m. 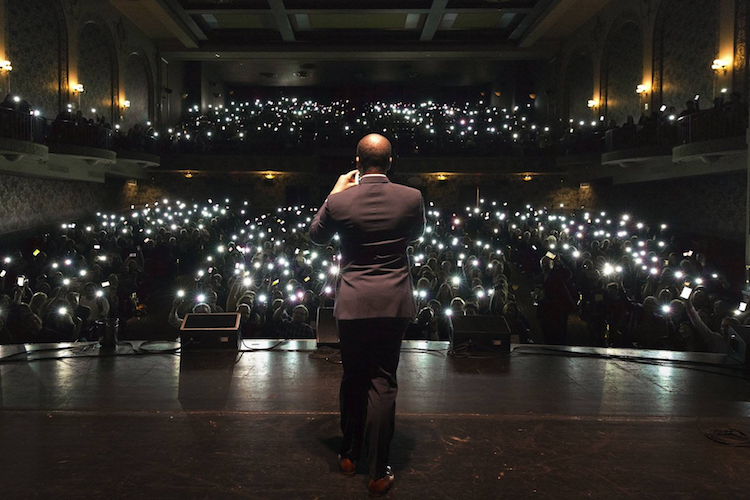 Journey into the eye of the storytelling storm when The Moth Mainstage marks 10 riveting years in Pittsburgh. Five charismatic storytellers will take the stage, rule the mic and command the crowd sharing totally true tales about “glory and defeat, taunting fate and laughing in the face of danger.” From rising star director Beth de Araújo to Clarion River Organics founder Zeb Baccelli to The New Yorker’s own Adam Gopnik, this lineup is one you’ve got to hear live. Also keeping audiences rapt will be Eastern Shawnee Nation of Oklahoma citizen Alistair Bane and human anatomy professor Erin Marie Williams-Hatala. Buy tickets. 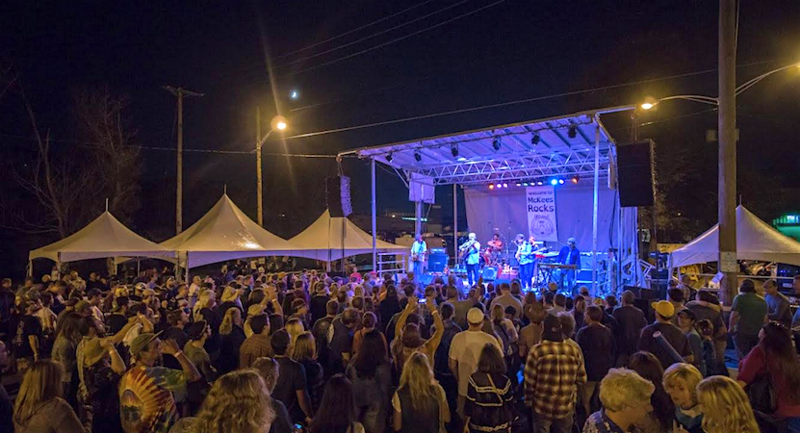 The post 11 Pittsburgh events you won’t want to miss in September appeared first on NEXTpittsburgh.